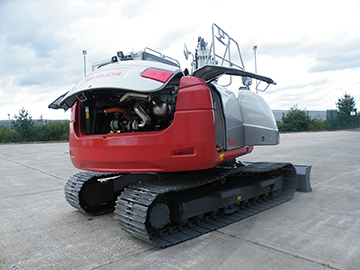 Takeuchi’s TB2150 is one of the most compact sized 15-tonne excavators available and is packed with unique offset boom capability. With a track footprint of just 2690x3580mm the new TB2150 offers unrivalled accessibility on built-up construction sites, providing massive powerful excavating in a very compact 15 tonne excavator. 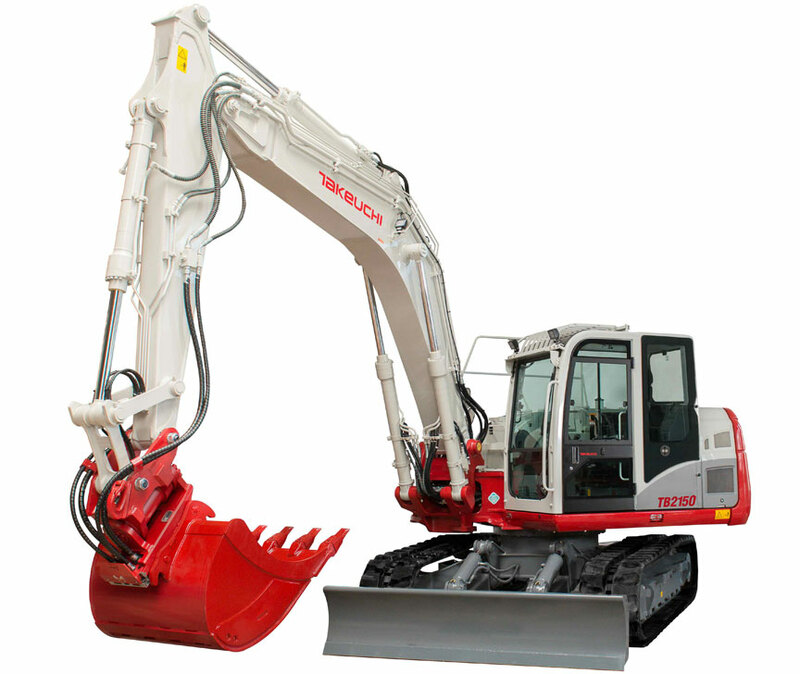 The largest Takeuchi excavator available the TB2150 offers a massive 98.7kN bucket breakout force, providing the power required for large excavating groundworks. Takeuchi’s 15 tonne option has proved popular with the specialist ground engineering companies looking for a high specification machine, powerful breakout all in a compact size. The TB2150 is compact enough to get access on every size of site and with the unique offset boom it works in the most limited spaces – no need to constantly re-position the tracks – let the offset boom do the work. 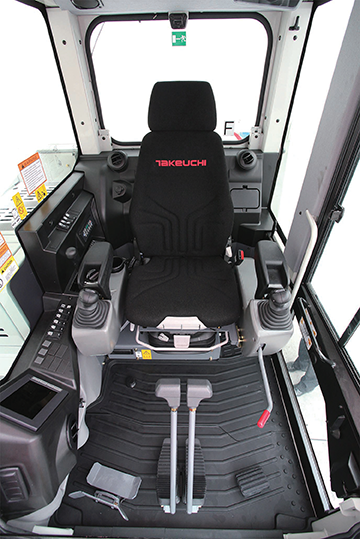 A very comfortable isolated cab – minimises vibration and noise levels within the operators station for added comfort. Operating weight 15,860kg complete with 24″ bucket, hitch & fuel.